Welcome to the Hampton Inn Madison - East Towne Mall Area hotel located in Madison Wisconsin. We*re just across the street from East Towne Mall and within a few miles of the University of Wisconsin Alliant Energy Center Kohl Center and Camp Randall Stadium. Come see our hotel*s incredible transformation...it*s worth the experience. Enjoy complimentary wireless high-speed Internet access throughout our Hampton Inn including guestrooms lobby breakfast area and 24-hour business center. Experience Cloud Nine the new Hampton bed experience. Hampton Inn Madison East hotel is proud to offer an even more abundant complimentary breakfast buffet with new hot items like sausage eggs and warm biscuits. In a hurry. Grab an On The Run Breakfast Bag by the front desk available Monday-Friday and be on your way. 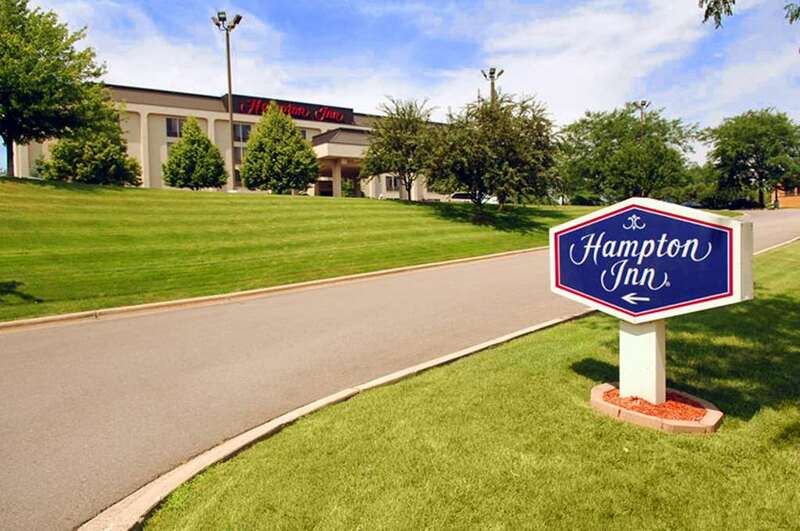 The Hampton Inn Madison - East Towne Mall Area hotel is also convenient to the following area businesses Alliant Energy American Breeders American Family Insurance Datex-Ohmeda Demco General Electric Government Offices IBM and Kraft/Oscar Mayer. Nearby attractions include Camp Randall Stadium Alliant Energy Center East Towne Mall Overture Center Madison Civic Center State Capitol Building University of Wisconsin Campus Madison Area Technical College - MATC Vilas Park Zoo downtown Madison Kohl Center and Dane County Regional Airport. Enjoy a great meal delivered right to your room from Pizzeria Uno*s. There*s never a shortage of things to do - enjoy numerous parks and golf courses a lively downtown wonderful restaurants and the University of Wisconsin - Madison football team. With our Unconditional 100 Satisfaction Guarantee you*ll be completely satisfied with your stay or we don*t expect you to pay. Earn Hilton HHonors hotel points and airline miles. Come experience the best value in town. We love having you here in Wisconsin at the Hampton Inn Madison hotel.